Last Wednesday, I've attended the Founder Institute Brussels Startup Pitch Bootcamp. The speakers were Filip Tack, a FI mentor, and Pieter Dubois, a former FI graduate. It was the occasion to look behind and observe how far I’ve come since my first pitch lesson in June 2011 (which was incidentally also at a FI Bootcamp). Filip’s presentation was similar to the one I've saw last in September 2011. Same advices, same good examples, same honest sharing of personal experiences. But this time, I've listened to him with another ears: "I repeated my pitch all the time, even in my car." I did that, too, as the only way to become good is to practice, repeat, rehearse, again and again. You become good by pitching, not by hoping it would happen. The first time I pitched, I was very bad, people didn't understand what I was trying to communicate. Today, I'm still practicing, it's never finished. As Filip said, you're still learning even after 10 years of practice. That means it's important to repeat often, but also to practice in real conditions. So, anytime I have the opportunity to do it, I pitch, especially if it's not a crucial moment: for instance, with friends, or friendly experienced entrepreneur. It's the opportunity to train my pitch, to try some variations, and to refine it by getting feedback. Get attention first, then ask. As Filip explained, the purpose of pitching is to communicate a message and getting attention about it to go one step forward with your interlocutor. You want to ask him something. Depending on who, when, and where, it could be simply to get his business card (and if you do well the job, he'll give it to you by himself), to get lunch together, or to give a call. I pitch when I'm explaining to my family or my friends what I'm doing, when I'm selling, when I'm introducing my project to some organization that could support us, when I'm looking for a loan, when I'm simply meeting someone that wants to know what we're doing. I’ll certainly pitch when I’ll be hiring. It's about communicating my project precisely and concisely with a clear purpose and by respecting some constraints (time, noise environment, location). And when it's especially noisy, I'm doing my best to use simple words, speak slowly and loudly. You're not pitching your product. Because you're the one pitching, you're the vitrine, you're pitching yourself, as Pieter has well explained. You want people to remember you and your project, but you're the first and only thing he gets up front. If you seems boring, they will not want to know more: your project will seem boring, not exciting. For this reason, I've worked a lot on the flow, the tone, and the attitude when pitching. The only way for me to practice this, it's to learn it by heart, and rehearse before a mirror or to record a video. After I'm more confident to improvise and focus on the performance. I don't forget that it's just not acting, I'm really putting me in a mind state where I'm feeling the belief into my project. When I'm sincere, I'm smiling, I'm really enjoying it, and it’s communicative. In the end, it's all about people. You are not pitching a wall. It's important to not forget your interlocutor, as Filip reminded us. You don't pitch a business angel as you pitch a potential cofounder. You may need to adapt if someone interrupts you with: "ho, it's just like Vooza". Better, you want to use this information to show you're also listening. Pitching is not about pitching, it is about creating a conversation. It's like when sharing business cards, it is not about sharing cards, except if you need them to warm your home. The pitch is only the first part of the conversation, so if it starts, do not break it! That's why after a certain time, I've started to build pitch blocks: small pieces of texts, introductions or sentences that fit a particular audience or circumstance. Those blocks help me to build my pitch on the moment depending on the audience, and how they react or answer me. Again, I test those blocks only by practicing. But it's something I started when I had already pitched a lot, a few months ago, and I had at least one good sentence pitch. The one sentence pitch, as the very good one Adeo Ressi has designed, is the first version you have to elaborate. It's simple and short, and contains enough information to create interest in most situations even if it's a sales pitch. It is tried and true, and I know I can always fall back to it. For instance, recently I decided to improvise, using a totally new pitch. I've obtained: "Sorry, I don't understand it at all". I've honestly apologized and quickly switched to the one sentence version. The person finally understood it and asked me some interesting questions. Sharpen your pitch and design your business. Whatever is well conceived is clearly said, And the words to say it flow with ease. 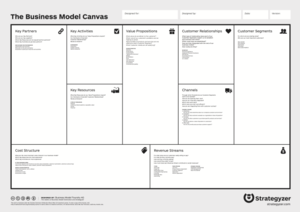 It's really a great tool that I used to test our business model at the beginning and challenging it with peers, advisors, or other mentors. That's why, I've realized, it's important to be concrete and specific, because the pitch is the communication of our business model. It doesn't have to embrace the whole vision, it has to help the interlocutor to get a good representation of the business. Those are my learnings for this first year of pitching practice. What are yours?